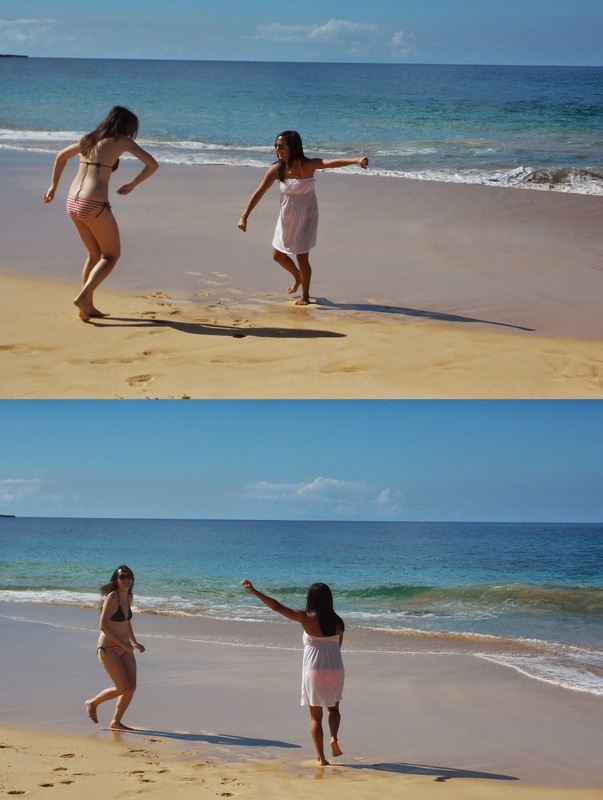 One of the group activities I wanted to do in Maui before the wedding was have a beach day with our friends. 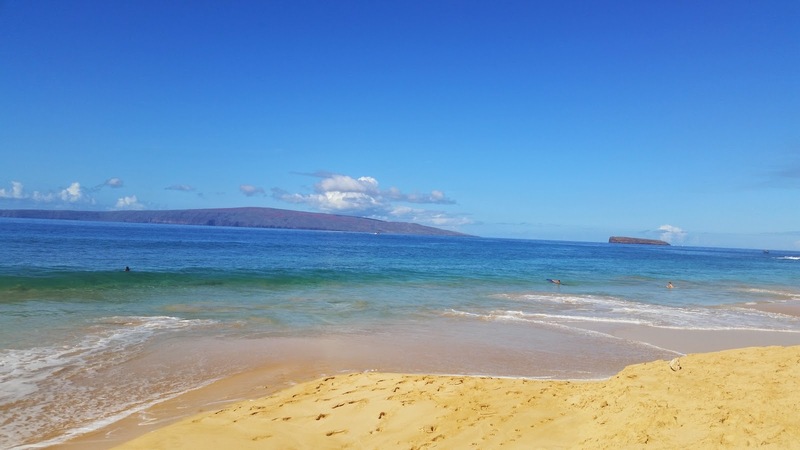 We loved Big Beach, aka Makena Beach State Park, when Graham and I visited Maui two years ago, so we wanted to take our friends there. Charlsy and I danced for joy, thrilled to be in Hawaii. The day started out sunny and warm. But over time, the clouds rolled in. It was sprinkling before we knew it. We moved to another side of the beach and got in the water, not letting the light rain ruin our time. We figured the rain would move along soon, but we were wrong — it only intensified. It was actually pretty hilarious watching the girls grab our things and sprint toward the lifeguard tower. We huddled underneath, waiting for the guys to get out of the water and head toward the parking lot. The rain had won. Two more friends joined us, and we decided to try another beach. This time the rain stayed away for the most part so we could snack, swim and snorkel. It was exactly what I wanted.